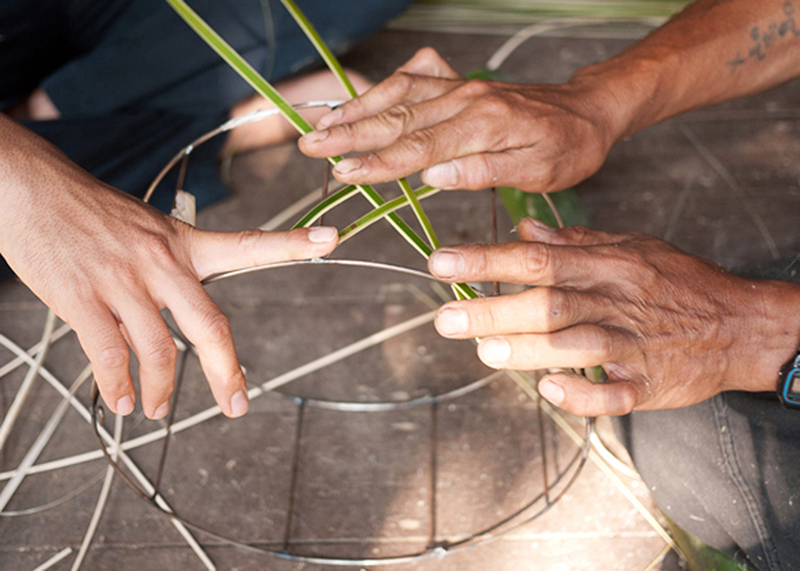 POP is a series of lampshades co-designed by Ljung & Ljung and Sop Moei Arts, a non-profit organization that works in close collaboration with local skilled craftsmen. 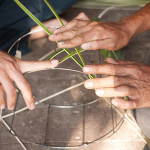 This way, the NGO based in Mae Tola, Thailand, can employ local artisans as well as create wonderful crafts. 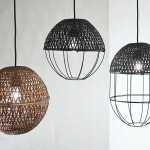 The brilliant designs are hand made from a metal spherical structure interwined with bamboo steams. 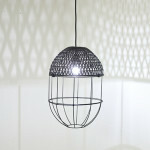 To make these lamps, the structure is first welded into several modules that can be assembled in various ways. 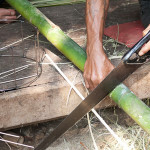 Once the design is aproved, a local artisan weaves the green and soft bamboo stripes, which dry into a wonderful golden shade and harden when they dry. 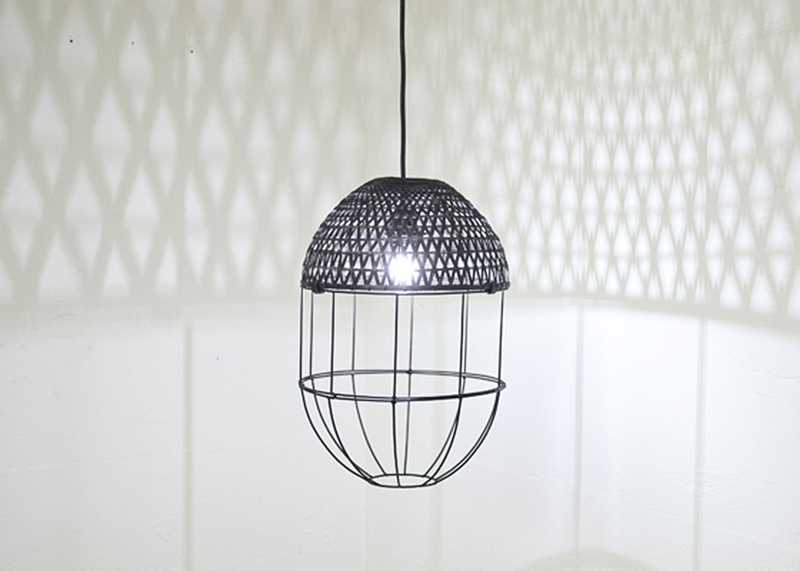 The POP project started in 2012, and it was finally launched at the Stockholm Furniture Fair in February 2014. 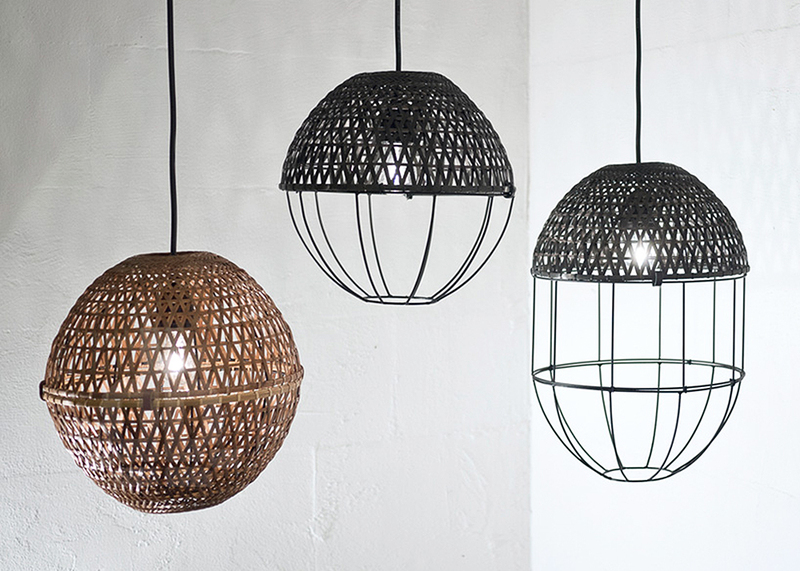 The lights will be available for sale starting in fall 2014. 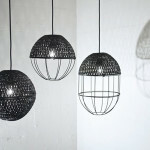 See more from Studio Ljung & Ljung here.